Managed a team of 4 in the treasury operation covering 9 Eastern Europe countries, including Russia, Czech Republic, Ukraine, Romania, Bulgaria, Hungary, Croatia, Serbia, and Montenegro. Facilitated new investments and business growth throughout the region by securing funding from internal sources and outside banking relationships. Oversaw Country Finance Directors in the deployment of capital toward strategic initiatives and investments. Led various financial transactions for the region, including onshore and offshore funding, share repurchases, and M&A deals. Negotiated and executed a $2.2 billion, 7-country sale to CVC Capital Partners, safeguarding €150 million in disputed transaction value for ABI. Generated profits of $4.5 million in 2009 and $1 million in the first quarter of 2010 from currency and aluminium trading activities, boosting overall EBITDA by over $3 million. Completed a €300 million recapitalisation in Russia. Forged a new banking relationship that provided lower-cost debt capital to the Ukraine. Released over €100 million in locked funds from 2 countries. Cut working capital dispersion from 20% to below 10%, producing record cash flows in CEE. Spearheaded a restructuring of the Eastern Europe ownership structure across entities throughout Western Europe and tax havens. Directed share repurchase projects, capital reengineering and dividend distributions, with the aim of extracting maximum value out of each country. Constructed a trading model to optimise gains on $400 million exposures in currency and aluminium trading. Issued a special dividend in 2 countries that released €45 million in currency controlled funds. Liberated the businesses in Hungary, Romania, Bulgaria, and Serbia for strategic sale by initiating share repurchases and squeeze-out initiatives. Mitigated $352 million in risk by re-examining and optimising the use of holding companies. Created a model that illustrated country risk levels and the need for capital reengineering. Led a team of analysts in performing due diligence, financial modelling, financial analysis, and deal pitch preparations on a large scope of M&A transactions. Developed a financial model and valuation analysis that helped an oil and gas client in Eastern Europe ward off a $16 billion hostile takeover attempt. Hand-picked for a team mandated to execute a major automotive industry asset divestiture. Chosen as the only MBA hire out of 100 candidates from IESE Business School. Providedbusiness management advice and solutions to corporate clients that ensured transactional efficiency while boosting revenues, minimising costs, taxes, and regulatory risks. Cultivated relationships with clients to drive new business development. Oversaw research and data collection, transfer pricing model creation, and client proposal development. Evaluated the impact of transfer pricing on profitability and operations using detailed analysis and benchmarking studies. Spearheaded a cross-functional team of 10 that developed a new business structure and transfer pricing policy for a leading multinational company, negotiated with Tax and Economic Authorities, and mitigated €20 million in potential tax liabilities. Chosen for an elite team that started and grew the firm’s Transfer Pricing business. Positioned Deloitte as a top transfer pricing authority in Portugal by writing a transfer pricing report aimed at the Portuguese Tax Administration. Mentored and coached junior consultants on transfer pricing concepts. Consistently ranked #1 in the team for production, bringing in €150,000+ in annual revenues. 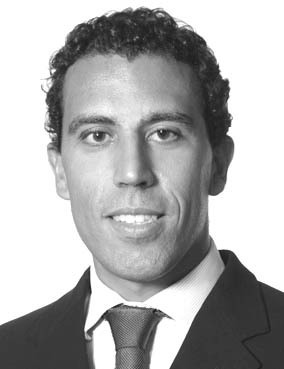 Appointed Portugal’s transfer pricing representative to Deloitte’s European Economist Network. Wrote "Transfer Pricing - A Portuguese Perspective", for BNA Tax Planning International, March 2005 and "A Perspective on Global Transfer Pricing", for BNA Tax Management, May 2005. Multifaceted manager with 8 years of experience in consulting, corporate finance (investment banking) and general management at top companies such as Anheuser-Busch InBev, Morgan Stanley, and Arthur Andersen / Deloitte. Reputation for thought leadership in managing multinational client projects across a broad scope of industries, such as fast moving consumer goods (FMCG), financial services, oil and gas, and manufacturing. Extensive background structuring, analysing, and executing strategic initiatives, including mergers, acquisitions, divestitures, and operational restructuring. Highly educated and mobile professional with exposure to diverse cultures in Eastern and Western Europe, and an MBA from top ranked global institution, IESE Business School.